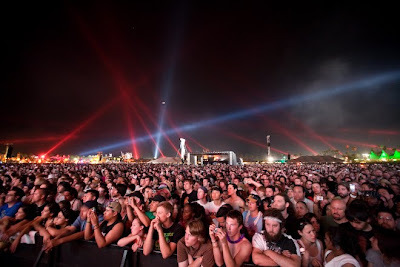 Coachella 2011- Did you get YOUR ticket? Spring is just around the corner and you know what that means, it's nearly Coachella time! This year 75,000 festival passes were snapped up by fashionista concert-goers in just six days! In comparison, last year’s festival didn’t sell out until one week before the 3 day festival began in April. Last year was the first year for the festival to sell out for all 3 days! Coachella will once again take place at the Empire Polo Field in Indio, CA on April 15th, 16th, and 17th. We're especially looking forward to seeing a few of our favorite bands like Angus and Julia Stone, Mumford and Sons, Cage the Elephant, and Kings of Leon! For the full lineup this year please visit the Coachella website. Be sure to check back after Coachella as we'll be sharing some of the latest fashions and trends. 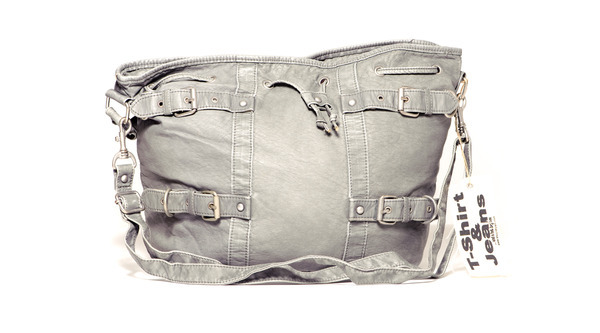 Below are a few bags from our current collections we find Coachella worthy. Turquoise cross body with scalloping, cut out flowers and lacing details from "Freedom Festival"
Bright Serape print top handle cross body from "Cut from the Same Cloth"
Sundance has come and gone once again! The buzz is out on who was wearing what to stay warm and beat the frosty temps and we are thrilled to give you a sneak peak! This year the annual Indie Film Festival ran from January 20-30 in Park City, Utah. As usual, both the films and the fashion did not disappoint! Mary-Kate and Ashley Olsen’s younger sister, Elizabeth Olsen, starred in not one, but two films premiering at the Sundance Film Festival making her this year's Sundance "It Girl". Elizabeth was spotted walking around the streets of Park City bundled up in a burgundy knit beanie, a fun patterned scarf and a natural vachetta bag. Next up Kate Bosworth was spotted in a red sweater, skinny jeans and menswear lace-ups while walking around town. We chose our Canvas and PU top handle cross body pictured below from our "Cut From the Same Cloth"
collection because it's a great throw it on and go type of bag! Lake Bell looked fashionably warm and we love her suede cross-body bag! 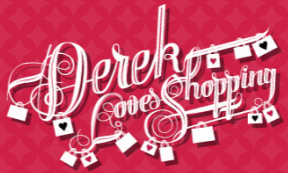 Handbag Winners Announced on Derek Loves Shopping! 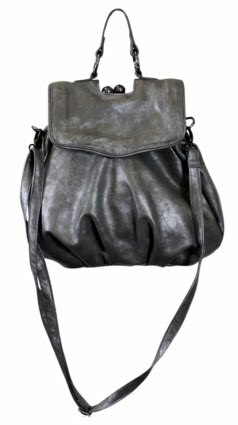 Be sure to "Like" Marais Designs on Facebook if you'd like to stay up today and we'll let you know of future contests. 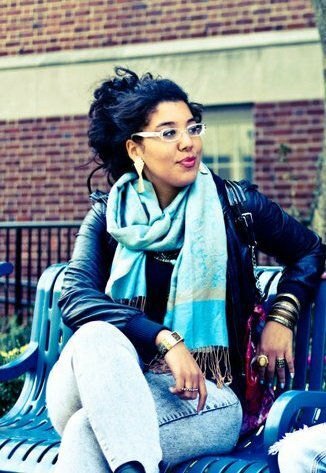 Nina, is a college student at Saint Peters College in Jersey City. 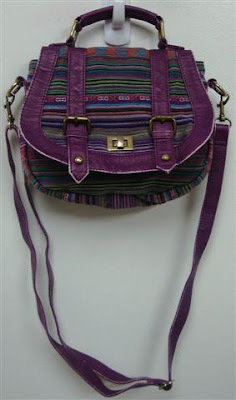 We chose Nina for her great mix of street and BoHo style, a great style which would really suite a Marais Handbag! We love her for volunteering at the Holy Name Hospital – where she helps discharge patients after surgery. Emmeline or “MIMI” as she is commonly called is a student by day and a personal shopper by night. 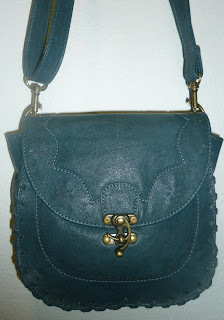 We love Emmeline’s oh-so-glamourous style; perfect for a Marais Handbag. Not only does she have BIG style, but she proves that she has a BIG heart. She volunteers at the Boys & Girls Club as a performing arts instructor, a place where kids can learn and grow-while having fun. FUN MIMI FACT: I enjoy blogging, on my website http://www.therealmimi.com/ but eventually I want to stop writing and go viral with an Online Talk Show; somewhat like Tyras. I want to interview all the stars, give fashion advice, love advice, and tons of makeovers!!! Contest on Daily Front Row! Isn't it about time for another handbag giveaway? Check out the Chick Report on Daily Front Row and enter their contest to guess the weight of one of our bags pictured on their website. The 1st person to guess the exact weight (or comes closest) by Feb 1 wins! New Bags- check them out! 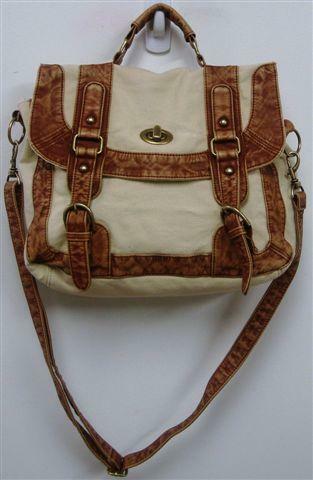 Check out our new crossbody bag in Maurices. 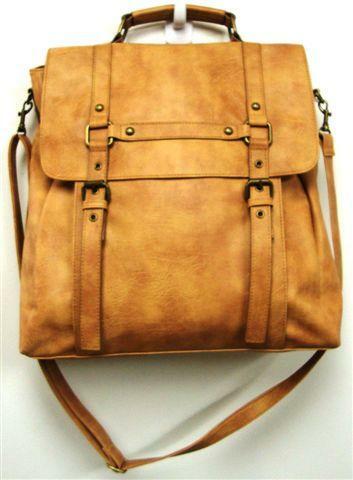 Practical for school, an afternoon at the mall or a trip to the Farmer's Market. The best thing about it is with Spring just around the corner and Summer to follow, you'll be getting quite a bit of use out of this one! Also sneak a peak at one of our other crossbody bags in Journeys available in both Metallic Gray and Metallic Tan. When several online magazines heard about our generous donation of bags to NBC's “Today Show” Toy Drive in December, they were impressed that so many pre-teens and teenagers benefited as a result. We have since teamed up with them to give you a shot at winning your own bag! Marais would like to know how you gave back this past holiday season. Share your stories by Fri., Jan 14, 2011, 11:59 p.m. ET. by clicking any of the following links: Meniscus, Fashion Indie and Derek Loves Shopping who will select three winners each!! Good luck!